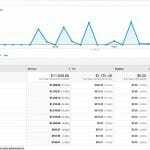 How to set Conversion funnel in Google Analytics – Are you in the search for the ways to set up conversion funnel in Google Analytics? If the answer is yes, then you have come to the right place. Conversion funnels are very important to set up for a variety of reasons and benefits. Here, we will discuss the important steps to set up the conversion funnel in Google Analytics. Conversion funnels provide a better insight that the goals alone in numerous ways. Setting up a conversion funnel is highly recommended but otherwise, it is an optional step. If you are not aware of this tool then here we will let you the importance of it and the basic steps that are required in setting up the funnels. 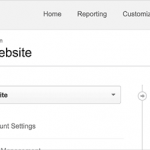 What is a conversion funnel in Google Analytics? 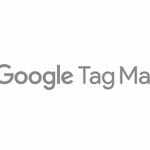 In the Google Analytics, a funnel is basically a navigation path or a series of web pages which you expect your website users to follow. This is done to achieve your website goals. A funnel is made up of a goal page and one of more funnel pages. This is also known as the funnel steps. It is important to stay updated with your customer and their path to the purchase. Every person who clicks on your ad isn’t necessarily your customers. Some people sign up for your online purchase or services and some for nothing. There is a specific procedure that they will have to follow to take in order to pay you for your services. Funnels help us to see this whole process. Below listed are some of the other benefits of using Conversion funnel in Google Analytics. It helps in determining the steps that are causing customer confusion or trouble. They help you in figuring out the language or copy that might be altering the customer’s behavior during signing up or checking out. It also helps you to be aware of the bugs, browser issues, and other technical nuisances. It is impossible for you to set up a conversion funnel in Google Analytics without setting up a goal first. Create the goal but before saving the goal, you have the option of adding a funnel. Below mentioned are some of the steps to set up your conversion funnel. Enter the URLs and names for the funnel steps. 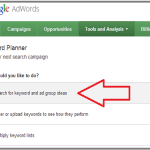 Select the required steps checkbox for the first funnel step. Step 3 is often recommended for generating simpler funnel data but is not mandatory. The funnel visualization report will display the single most definitive funnel performance metric in Google Analytics i.e. the funnel conversion rate. 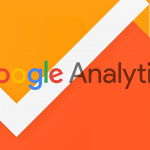 What are the types of Google Analytics funnel? 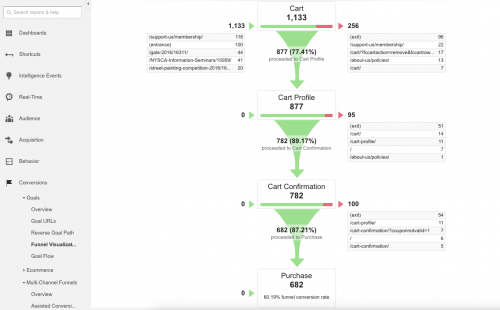 There are basically four types of funnels in Google Analytics. If you are not aware of any one of them then here we will discuss them. Scroll down to check them out. You can choose any one of these conversion funnels to implement in your strategy or plan in Google Analytics. Goal funnel is a series of web pages which you expect your website users to follow, to complete a non- transactional goals. Sales funnel are the web pages which are used to complete a transactional goal like placing an order on the website. Multi-channel goal funnel is the role played by multiple marketing channels in the conversion path. Multi-channel sales funnel is almost same as the multi-channel goal funnel. It is important for every business to set up the conversion funnel to keep a track on the customer’s steps. If you were looking for the ways to set up the conversion funnel then I hope this might have been useful for you. So, go ahead and now set up your conversion funnel for better results and tracking details.